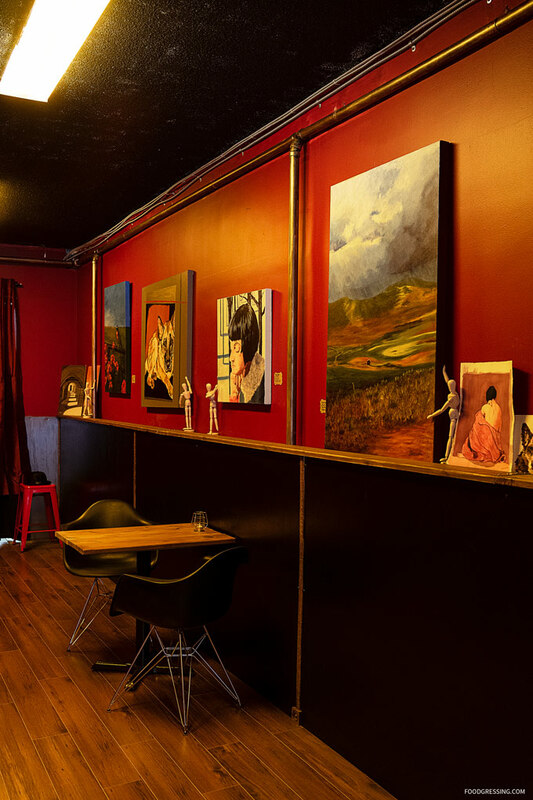 Newly opened in Fraserhood is Eclettico Art & Coffee – an Italian coffee shop where coffee is taken just as seriously as art. 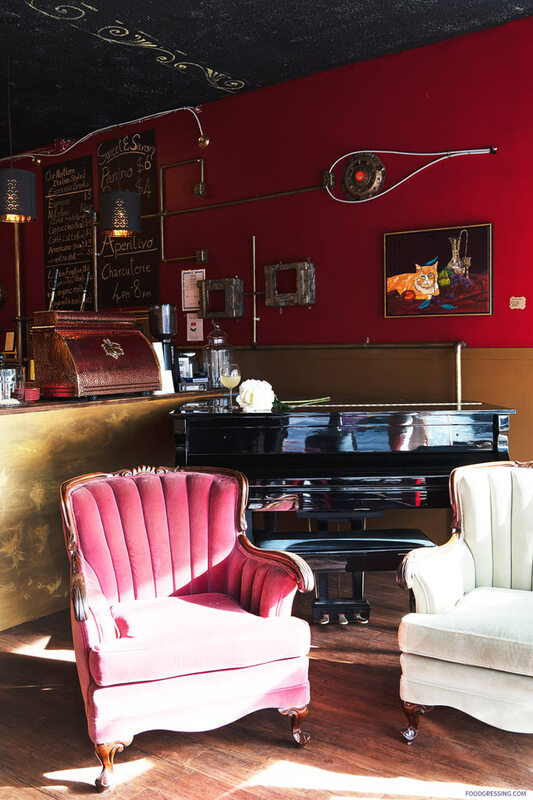 “Eclettico” means “eclectic” in Italian and this unique coffee shop serves North Italian-style espresso drinks in a cozy art deco space with a touch of steampunk. I was invited to a media tasting. Here’s a look at what you can expect. Disclosure: All food and drinks in this post were complimentary. 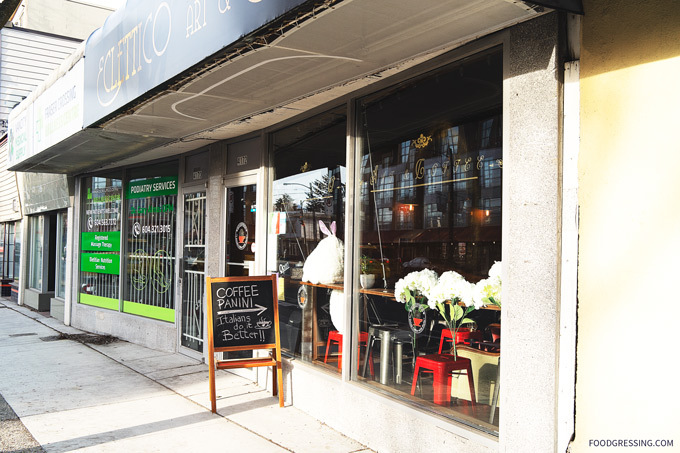 Eclettico is family-owned and operated by Lorraine (a watercolourist) and Miko (a coffee connoisseur hailing from Northern Italy) who combined their love for art and coffee to open this new shop at 4172 Fraser Street. 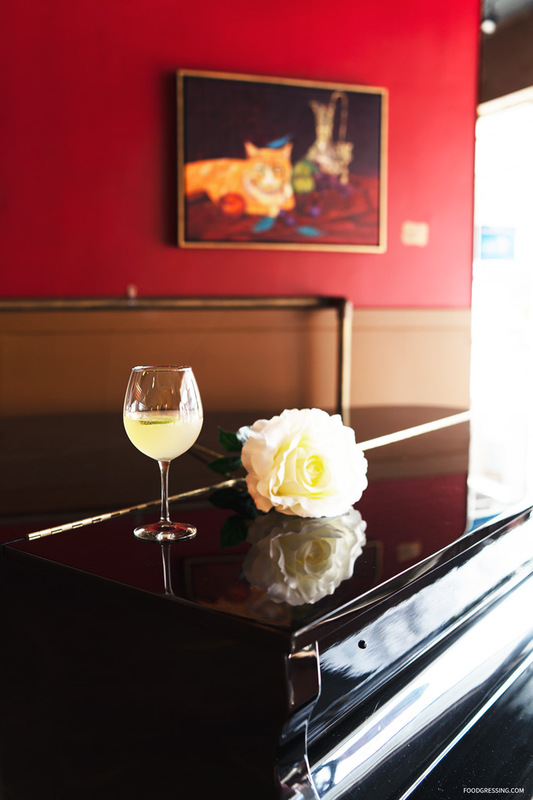 The front of the space is the main cafe area and has a baby grand piano offering live music on select weekend afternoons and evenings. The back of Eclettico is an art gallery housing art work created by Lorraine and is open for local or international artists to feature their pieces work. 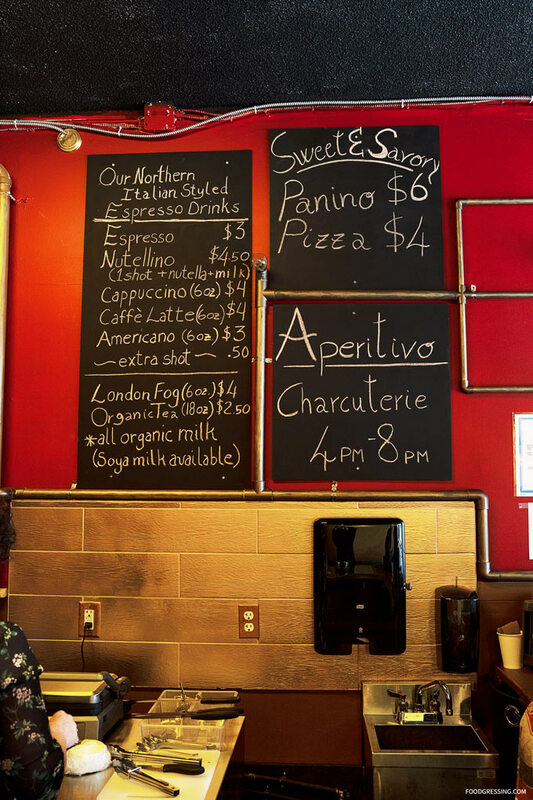 Eclettico’s menu is simple and focused on Northern Italian-style espresso drinks as well as sweet and savoury items (like panini, pastries, pastries and charcuterie) sourced from ingredients imported from Italy. 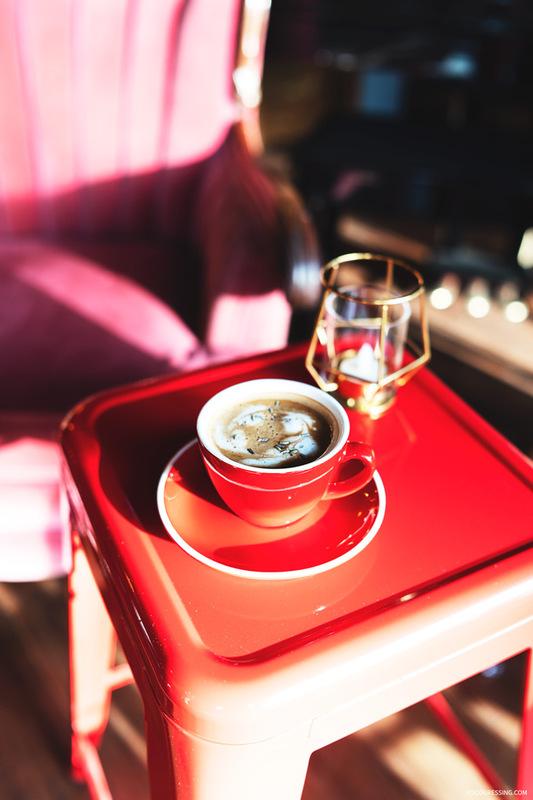 The drinks are customizable as they are prepared using an Italian Victoria Arduino lever espresso machine (a manual espresso machine). 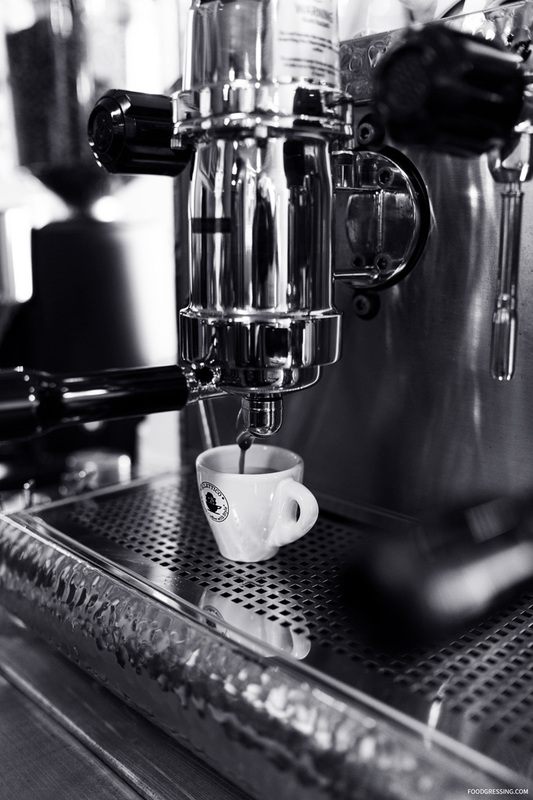 Lever machines are old-timey and classic ways of creating espresso-based drinks and offer the skilled barista better control over the brewing process. 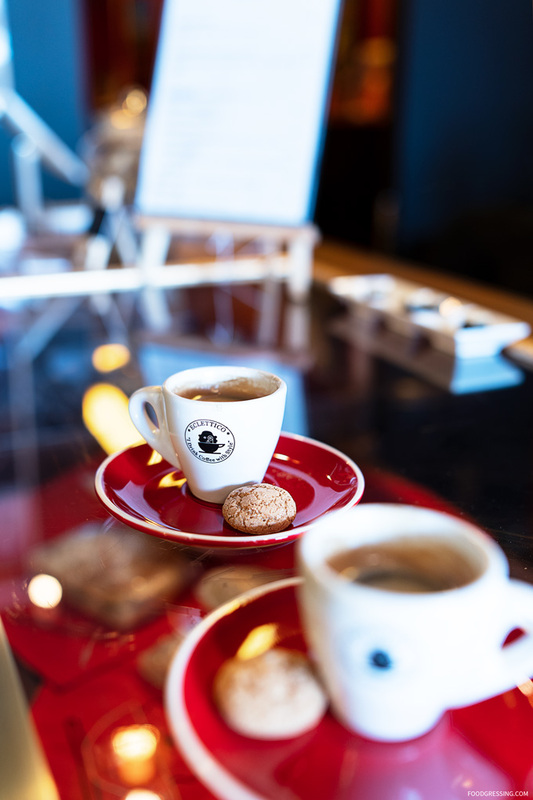 At Eclettico, they use Carraro 1927 Espresso Specialty Italian Coffee Beans imported from Italy. 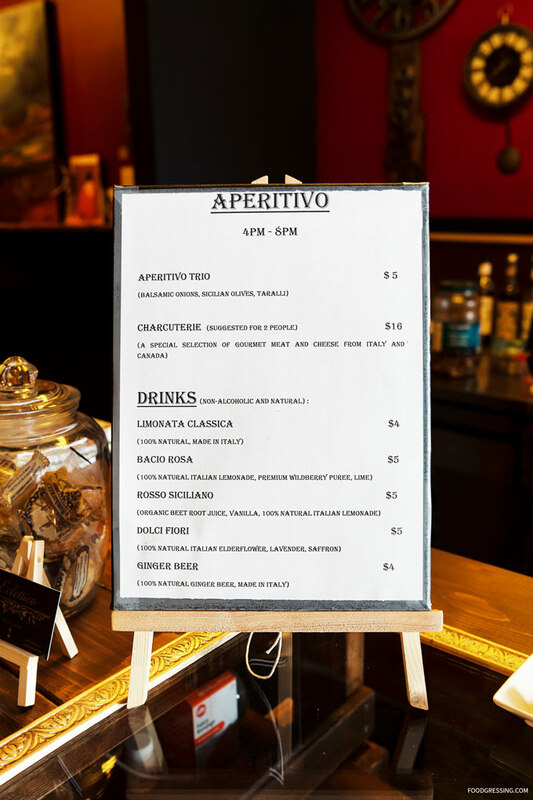 Eclettico has a few snack and non-alcoholic drink offerings for aperitivo from 4 pm – 8 pm. 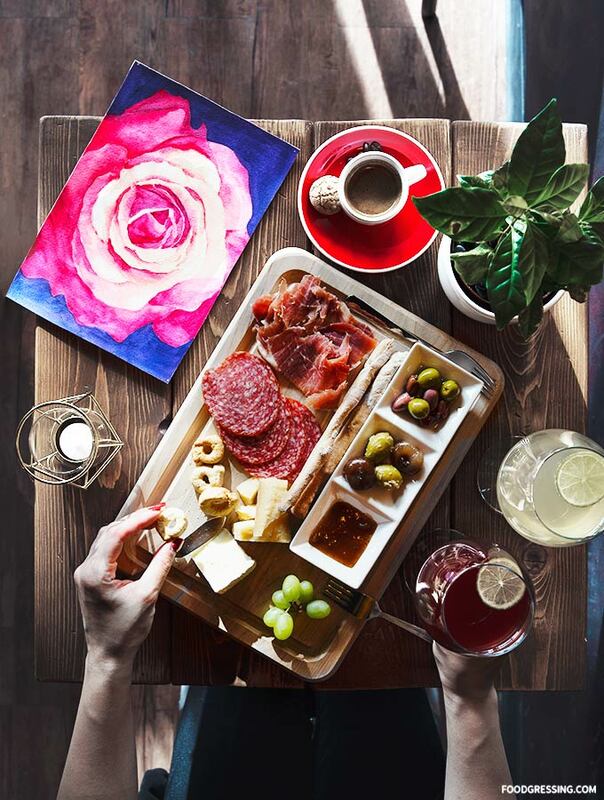 For snacks, they offer an aperitivo trio (balsamic onions, sicilian olives, taralli) and a charcuterie board featuring gourmet meat and cheese from Italy and Canada. The non-alcoholic drinks use natural sodas imported from Italy. To start, we tried two different shots of espresso ($3): one made with a short lever pull and the other with a longer pull. The espresso with the long pull had a longer bean extraction and resulted in a bolder coffee taste which I enjoyed. The espresso was paired with an almond cookie. Next, we tried their aperitivo charcuterie board ($16) featuring prosciutto di parma aged 18 months, Venetian salami, balsamic onions, Sicilian olives, olives stuffed with pesto, breadsticks, Taralli (mini Italian pretzels) and a fig spread. For a sweet finish to aperitivo hour, we had a Lavender Caffe Latte ($4) which you can customize with or without espresso depending on how much coffee versus floral flavours that you want. Eclettico is quite a unique gem in Vancouver’s coffee scene. They are open Tuesday to Sunday from 10 am – 8 pm. For more information, visit www.eclettico.ca/.